Every year, there’s a novel that catches my eye and I know, without a doubt, that it will be different. Not just new, not just exciting, but the kind of different that wrecks you just a little bit, draws you into the deep of the forest and brings you back changed. In fall 2016, I found a book that is going to do precisely that for readers this year: Wintersong by S. Jae-Jones. Liesl’s talent in musical composition has always taken a backseat to her two siblings’ welfare, and caring for her younger brother, a piano prodigy, takes up much of her daily life. But when her younger sister is taken by the Goblin King, Liesl ventures into his realm and finds it might be more than what she fears—it might be what she needs. I read Wintersong over two dizzying days, committed to Liesl’s journey. Jae-Jones’ prose captures you just as deftly as the Goblin King, and the story she creates is equal parts enchanting and terrifying. I got to chat with her about the many influences that brought Wintersong to bookshelves and highly encourage you to pick up a copy on February 7. 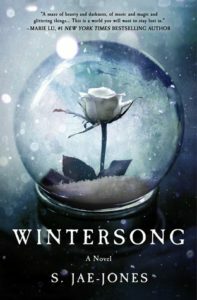 Wintersong is perhaps one of the most uniquely crafted novels I’ve had the pleasure of reading in the last five years, a newness born of all the influences in it: Mozart, Labyrinth, German fairy tales. How did you find your way to each of those interests growing up? My mother is a classical music enthusiast, so she always made sure I was exposed to it since I was a small child. My affection for Mozart started with sheer exposure, but when I was older, I saw the movie Amadeus. I’ve always liked Mozart’s music—he has a real gift for melody—but Amadeus humanized him for me. Not only was he a musical genius, he was also kind of a hot mess. He could write the most beautiful sacred arias, but was also extremely fond of scatological humor. I found him relatable, and I liked that. As for Labyrinth and German fairy tales, I can’t remember a time either weren’t in my life. When it comes to Labyrinth, I was born in the ’80s, my name is Sarah, and there were Muppets in it. That was enough to have it on constant loop in my house. As far as German fairy tales go, our familiarity with Western fairy tales comes to us from a pair of German brothers: Jacob and Wilhelm Grimm. So I suppose that connection always existed in my subconscious. 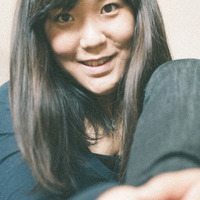 What was your writing process like for Wintersong? Were there specific things/habits that helped you through the writing, and was the revision process more or less challenging? My writing process is chaos. CHAOS. The only thing that got me through the writing process was iced coffee and Twizzlers. They got me through revisions too. I think revisions are harder than drafting, even as it’s more satisfying to do. Because I’m a pantser/first draft enthusiast, I had to trick myself into thinking I was writing a first draft of my book by essentially retyping my entire manuscript, but fixing all the problems as I went along this time. Liesl’s love of composition remains a touchstone for her, even in her interactions with the Goblin King, lending her strength. Is there something similar in your life, and how has it changed you? Unfortunately, I don’t compose, but Liesl’s relationship with composing is very much my relationship with writing. Her creative process is the same as mine, only she works with music, whereas I work with words. What are you working on next? Do you have any dream projects you’d love to work on? I am currently working on the sequel to Wintersong. I have plenty of projects I would love to work on, but I like to keep some secrets to myself. What would you like to tell your 16-year-old self? Being goth isn’t something you’ll grow out of, despite what our mother says. Wintersong will be in bookstores February 7, 2017.